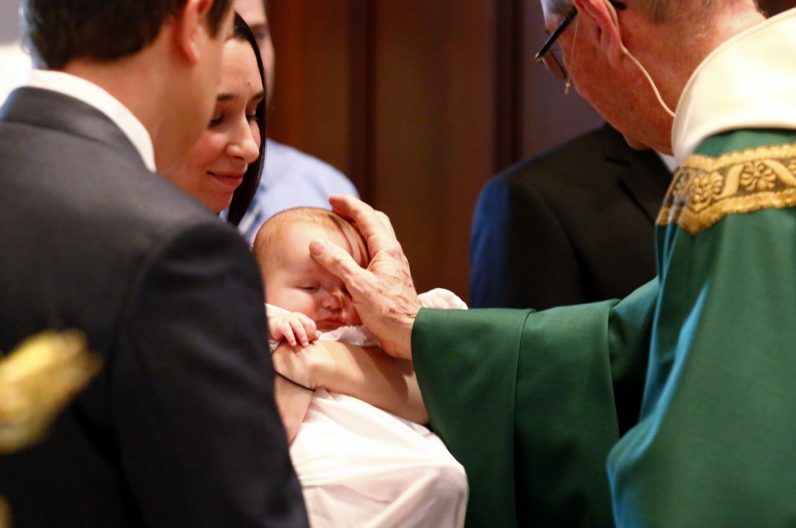 Father Michael Hughes, O.S.A., makes the sign of the cross on Marion Joy’s head during the baptismal rite. 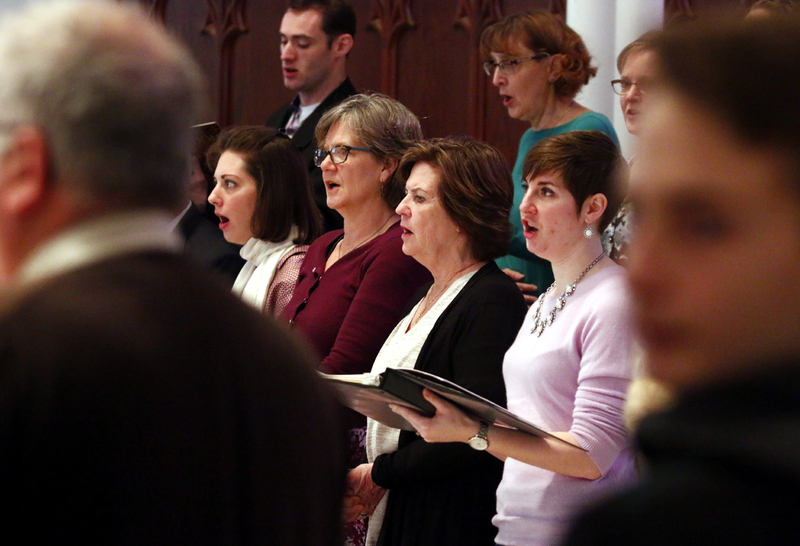 Members of the St. Thomas Choir fill the church with their beautiful voices. 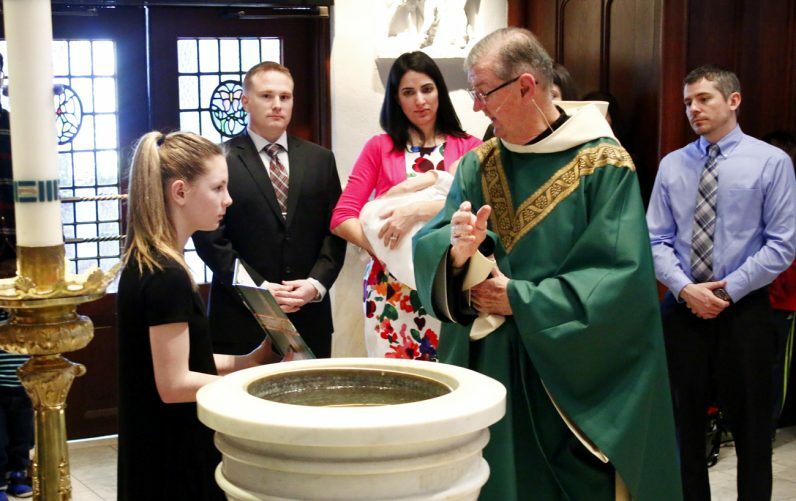 Father Michael Hughes blesses the baptismal water at St. Thomas of Villanova Church. Godparents Allison DiMeglio and Bill Orner look on as parents Matthew and Denise Orner hold their daugther Madeline Kathleen during baptism. 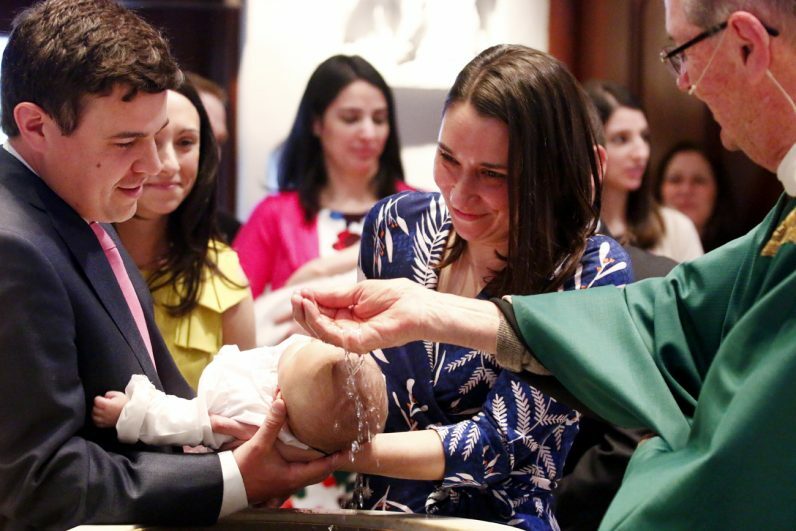 Daniel and Carrie Woody hold their daughter Marion Joy as she is baptized into the church at St. Thomas of Villanova. 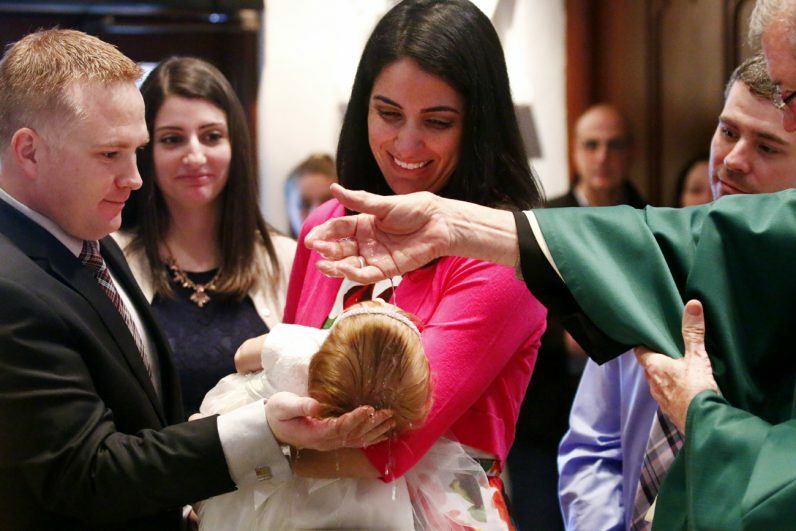 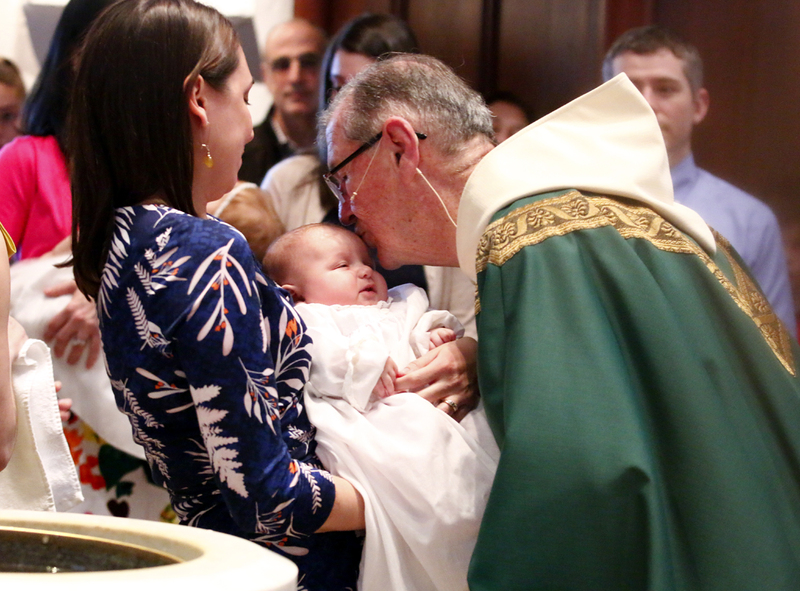 Father Michael Hughes offers a congratulatory kiss to Marion Joy after he baptizes her. 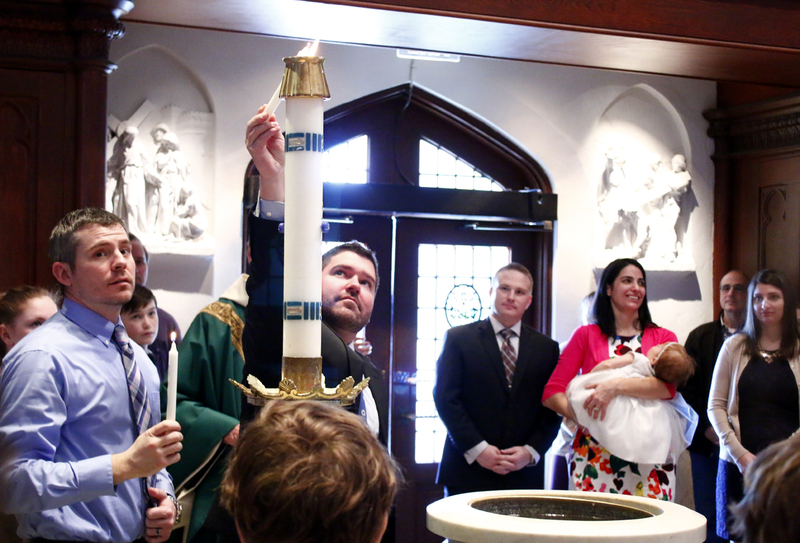 Godfathers Bill Orner and John Rapone light their goddaughter’s baptismal candles. 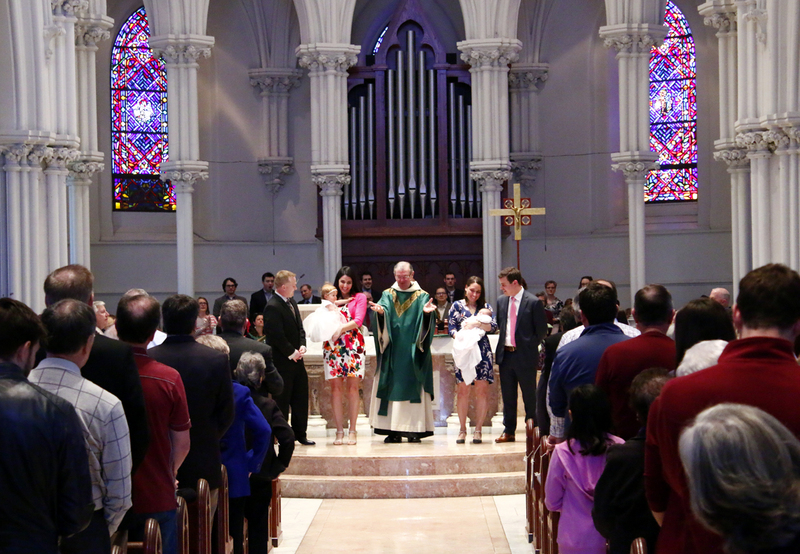 Father Michael Hughes, O.S.A., presents the newly baptized Madeline Kathleen and Marion Joy to the congregation. Father Michael Hughes elevates the book of Gospels before proclaiming the reading for the congregation. 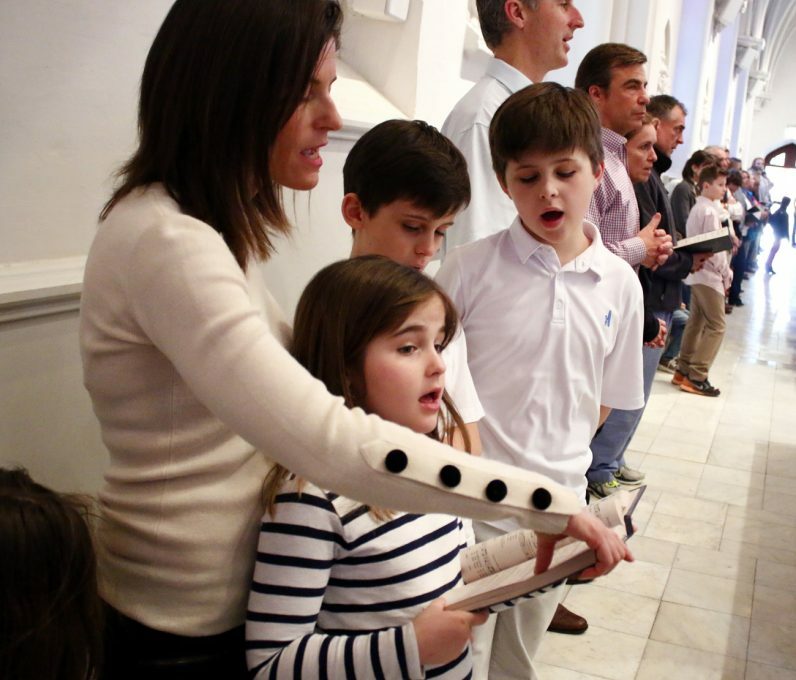 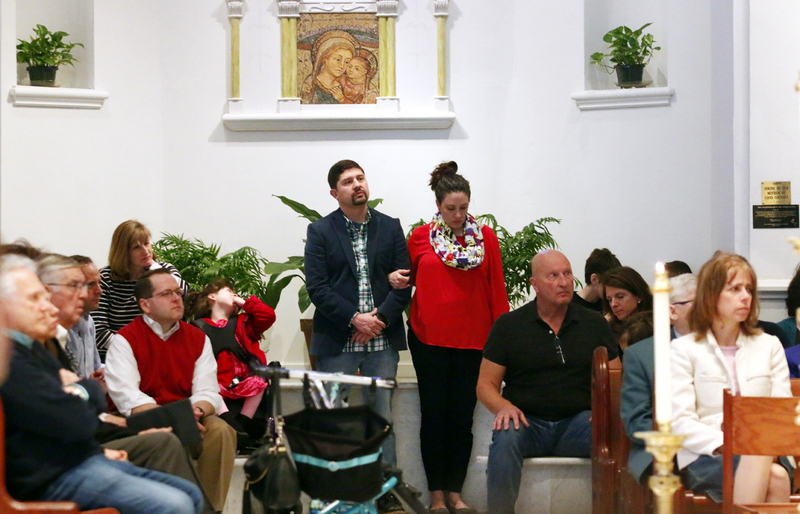 The Rouse family sings together at St. Thomas of Villanova Church. 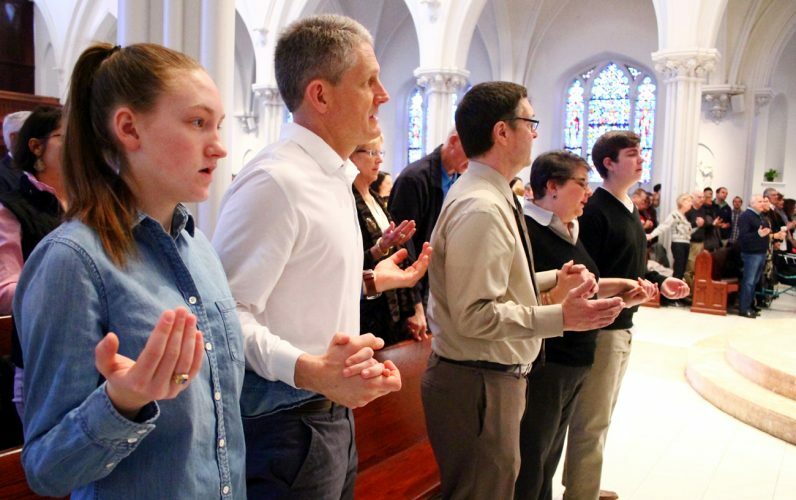 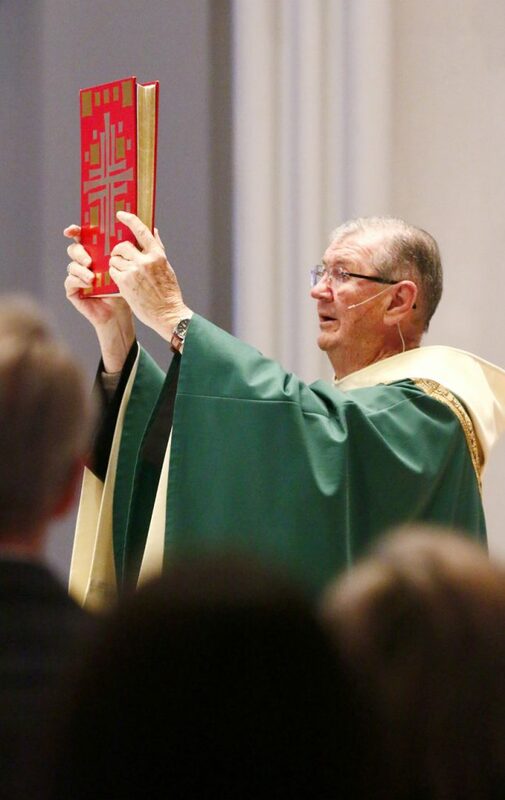 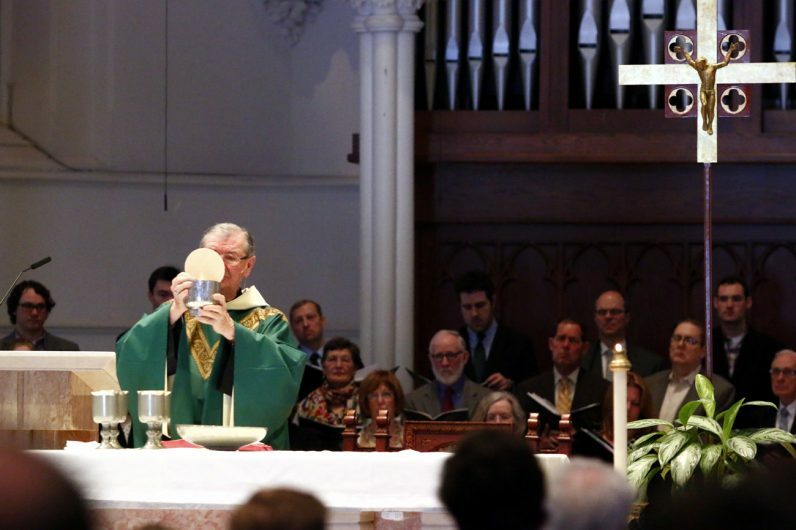 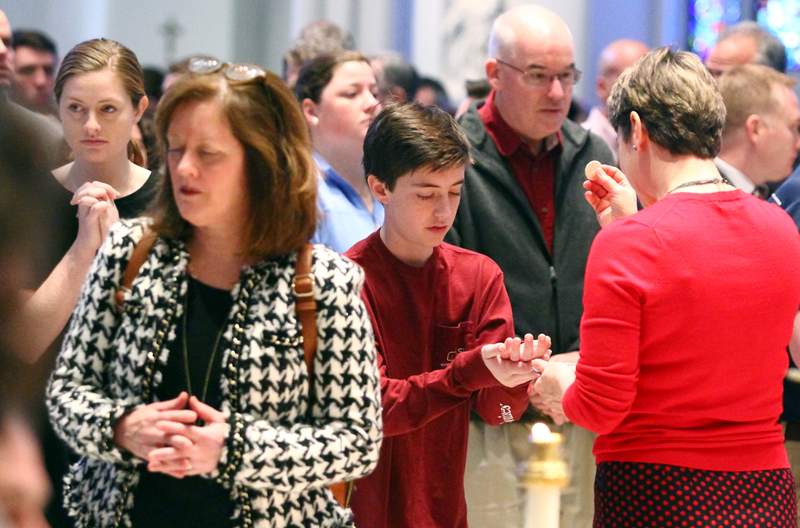 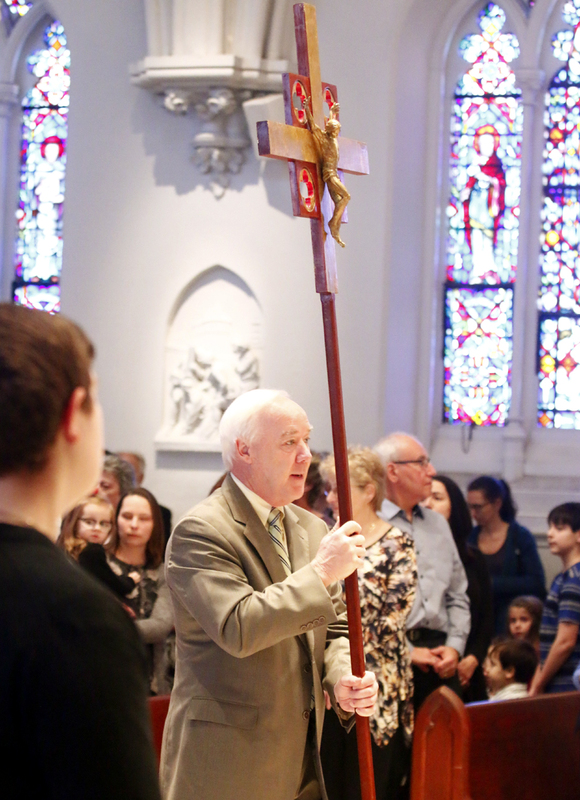 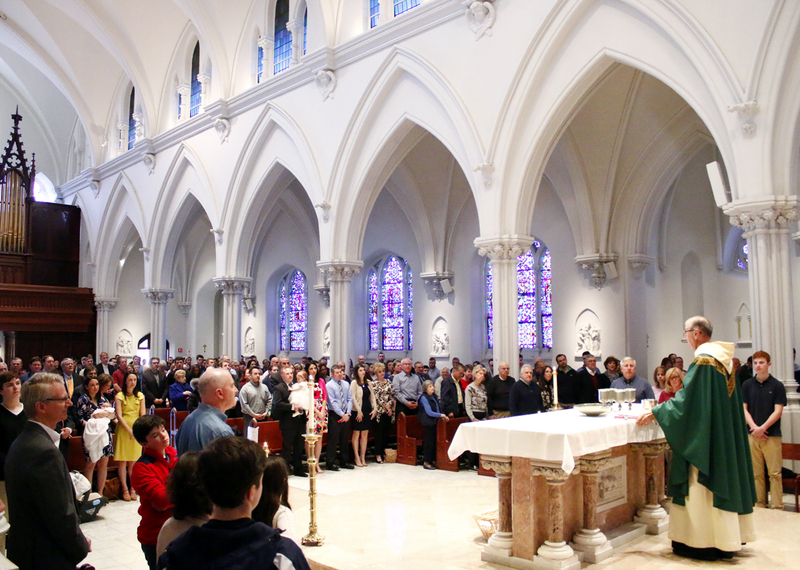 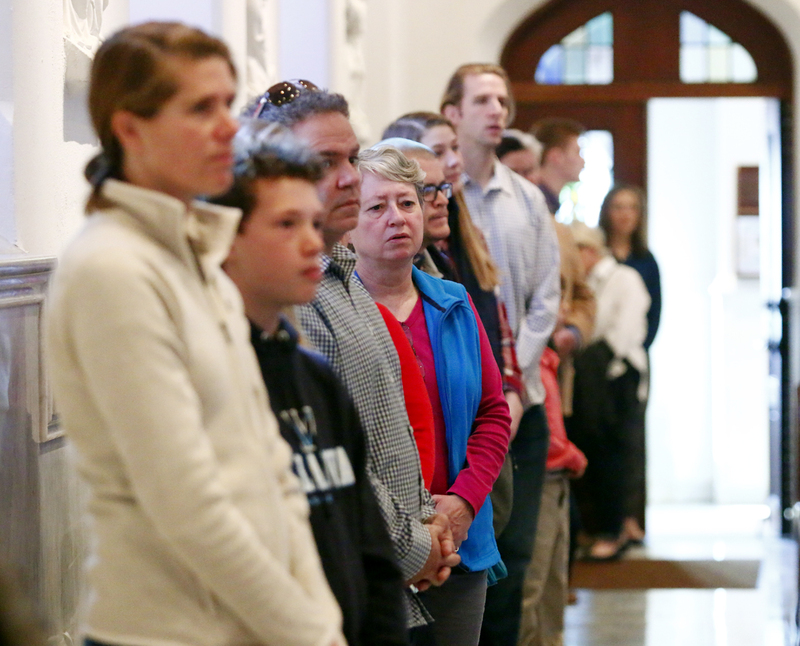 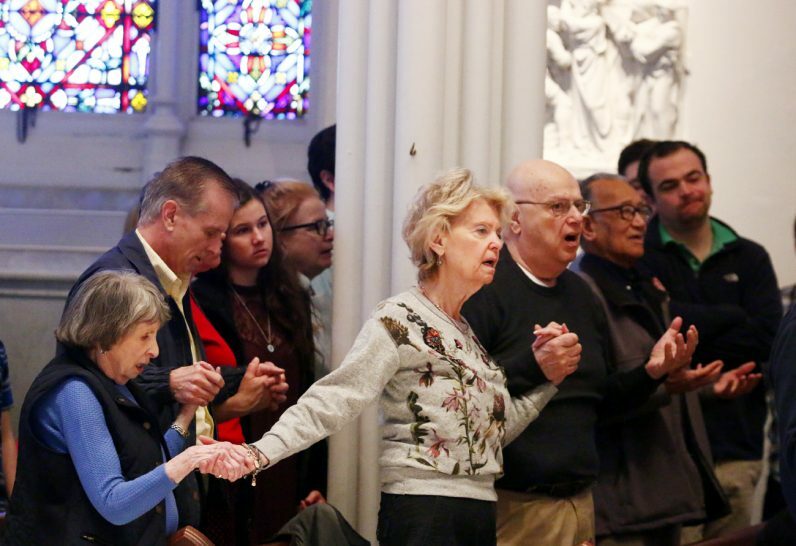 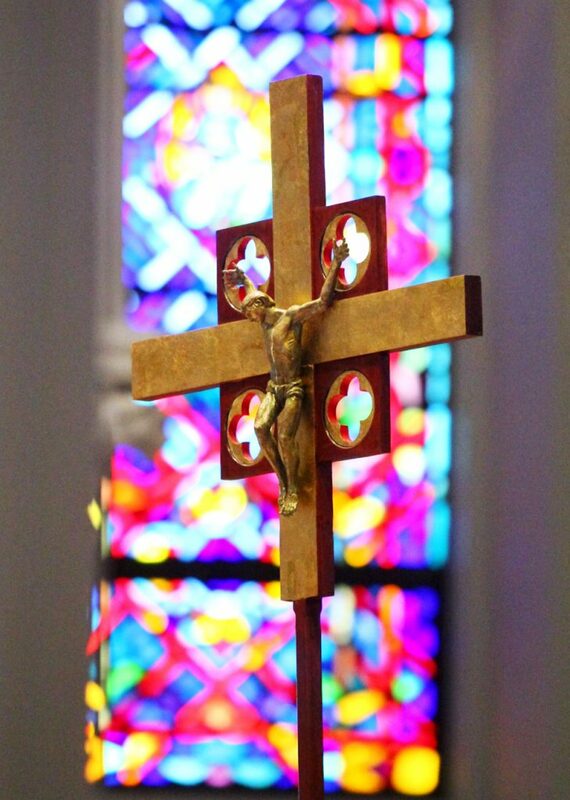 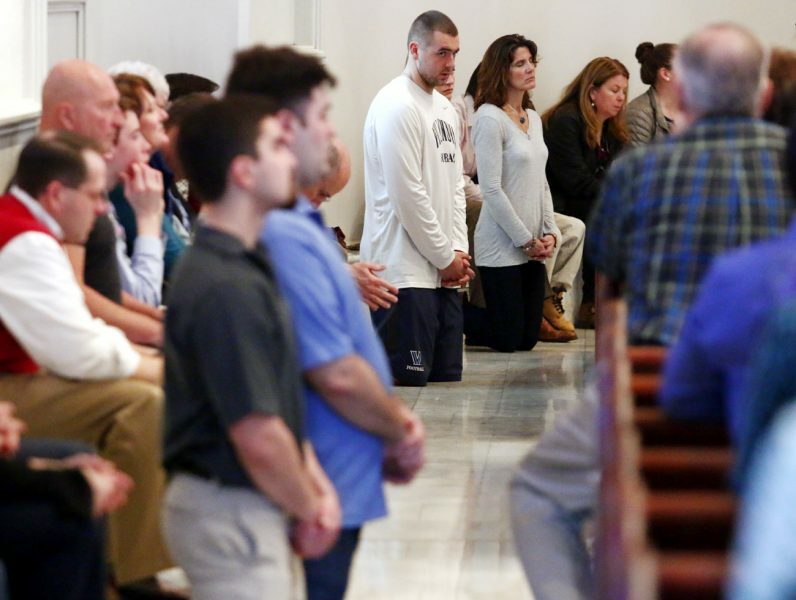 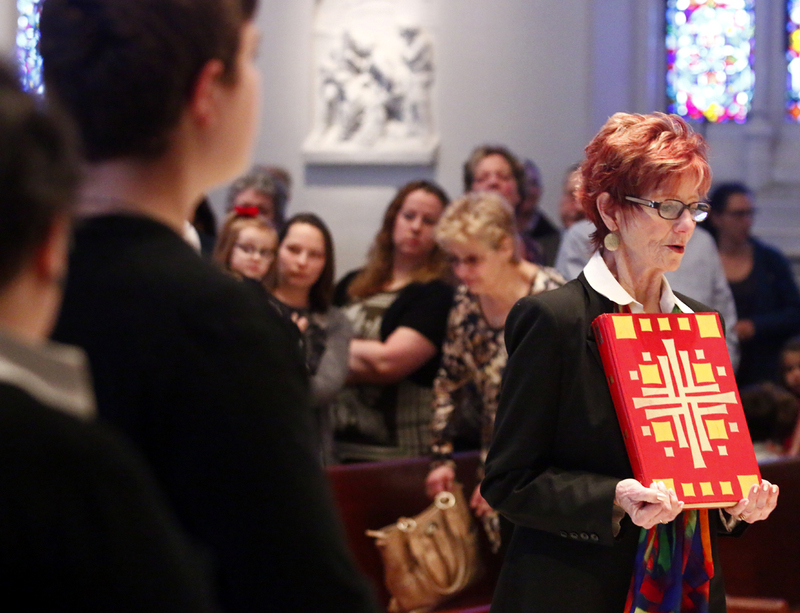 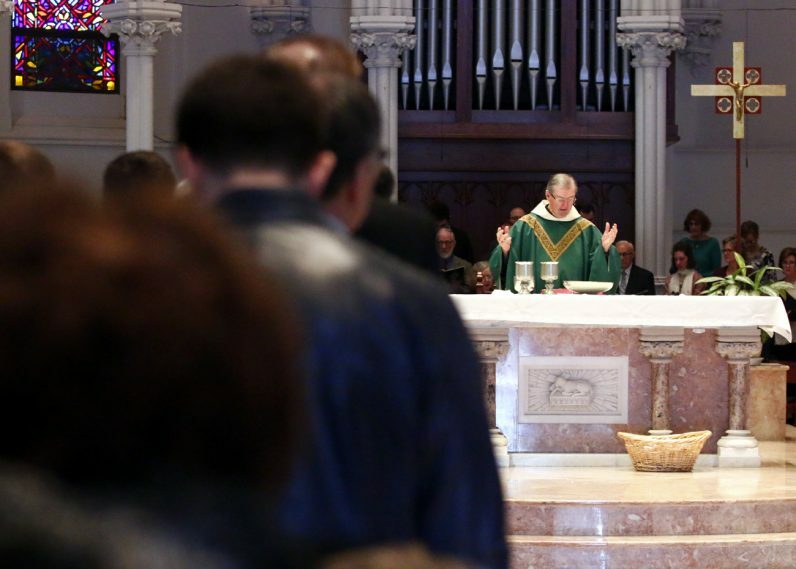 Augustinian Father Michael Hughes celebrates Mass at St. Thomas of Villanova Church. 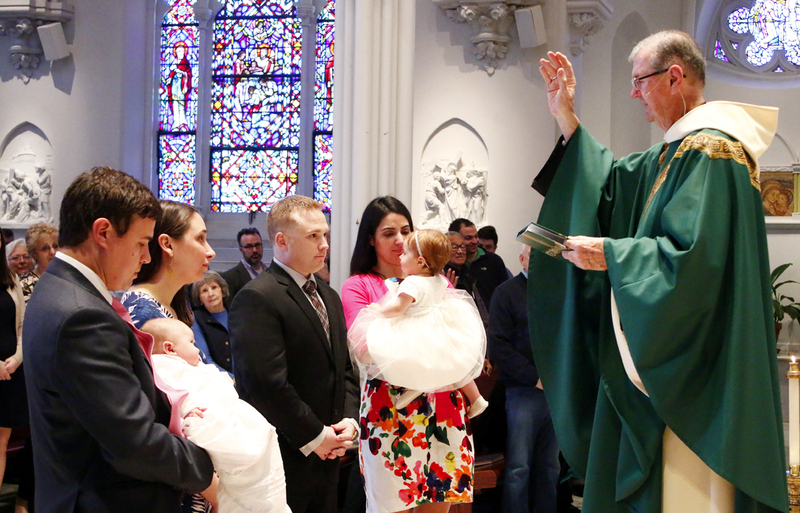 Father Michael Hughes blesses the parents of the newly baptized Madeline Kathleen and Marion Joy. 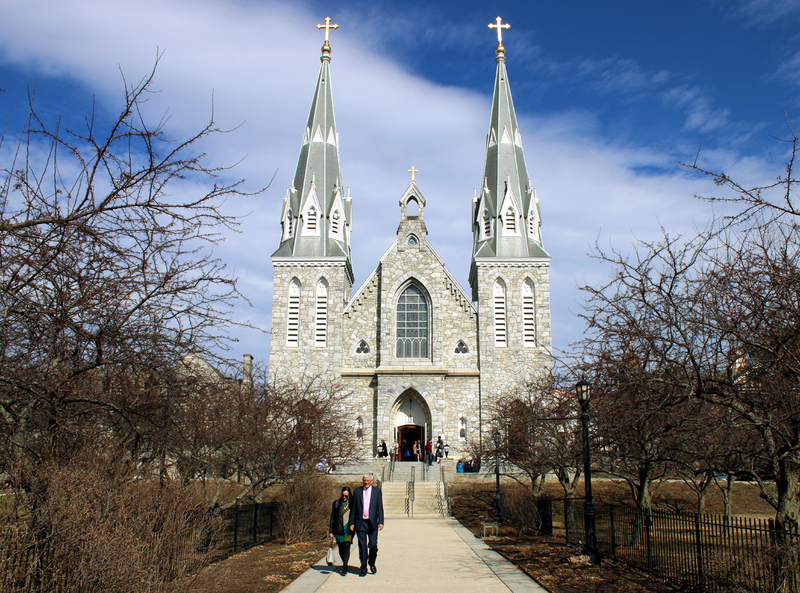 St. Thomas Church is a stately presence in Villanova.